Principles of Forex Non-Deposit Bonus Program. 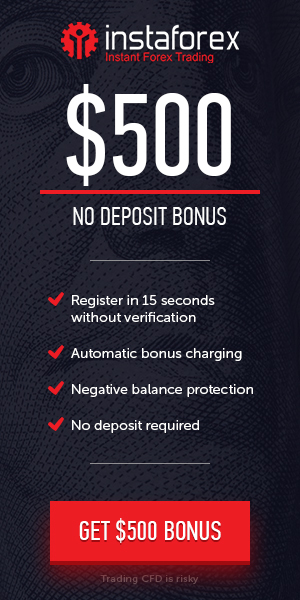 The InstaForex Non-Deposit Startup Bonus is a no deposit bonus. Every new Client of the Company has the right to get this bonus. When opening an account, to which the InstaForex Non-Deposit Startup Bonus will be credited, the Client is required to specify the data that matches the one in his/her ID. It is prohibited to change personal data such as the full name once the Bonus is credited. The InstaForex Non-Deposit Startup Bonus is not available for cent accounts. The Non-Deposit Startup Bonus funds are not available for withdrawal; however, profits gained from trading the bonus funds can be withdrawn if all requirements stated in this Agreement are met.